Whether you’ve designed a website or simply done your fair share of web surfing, you’ve probably run across lightboxes. They’re often used to display content (particularly images or video on photography websites) while dimming out the web page background. 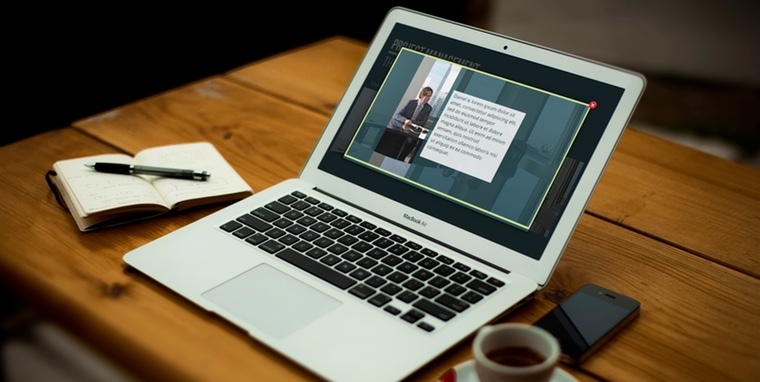 Articulate Storyline’s lightbox feature works similarly. Triggering content to be displayed in a lightbox causes whichever slide you choose to appear in a box over the current slide—in other words, everything else in view grows dim, and the lightbox slide appears over the dimmed course. A lightbox allows you to link to content from one part of your course to your learner’s current place in the course. This can be especially helpful for getting ancillary or supporting content such as references, resources, or media off the main content screens and out of your learner’s way. It’s also great for navigation instructions, a table of contents, or any other supporting assets that need to be globally available. These are only a few ideas for taking advantage of the versatility of lightboxes. Let’s take a closer look at lightboxes so you can start unlocking the possibilities for yourself. How Do Lightboxes Work in Storyline? In Storyline, a lightbox is a trigger action (more on that in a moment) that can be applied to any slide or a series of consecutive slides. Once you’ve elected to lightbox slide(s), the size, placement, and appearance of the lightbox is pre-built for added convenience, including a red X button trigger to close the lightbox. 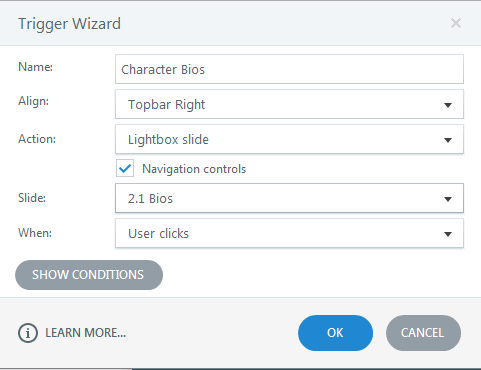 These features make it quick and easy for you to create a consistent user experience; but the trade-off is the loss of customization control over these lightbox attributes. If you’re looking for greater control over the size, placement, or appearance of your lightbox content, you can always create your own pseudo lightbox effect using slide layers. To read more about how to do this as well as the pros and cons of this approach, check out this forum discussion: “Lightbox Change Size?”. Pro Tip: When designing content for use in a lightbox, keep scale in mind. The scale of objects on your content screens (e.g., text, buttons, images) will be about 75% of the original full-size screen. Once you’ve created content slides for your lightbox, now what? To get your content into a lightbox, you’ll need to start with a trigger. 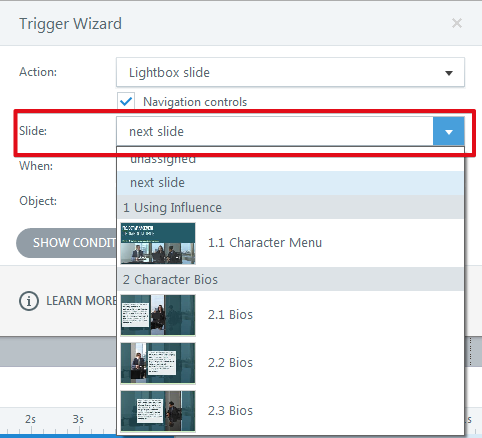 You’ll find the “Lightbox slide” option under the action menu in the trigger wizard. 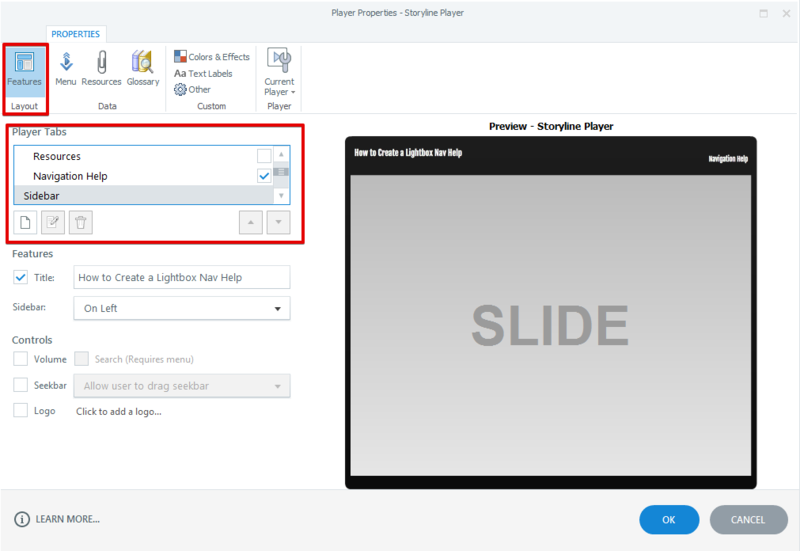 Once you’ve selected Lightbox slide, you’ll need to tell Storyline which slide(s) it should trigger. From the “Slide” drop-down menu, select the slide you want to appear inside your lightbox. If you’d like a series of slides to be lightboxed (e.g., for a media gallery), you’ll find it’s easier to place those slides into their own scene. Then you’ll simply select the first slide in that scene from the Slide drop-down and check the navigation controls box to allow learners to move forward and backward within that scene of lightboxed slides. You can also use your own navigation buttons, but your learners may find the size of Storyline’s default navigation controls a little easier to see and use. 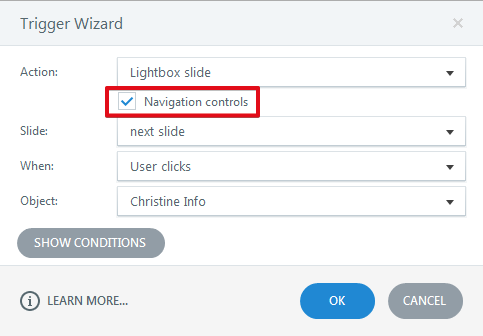 Pro Tip: To keep learners from getting confused, be sure to remove any custom forward/backward navigation buttons or arrows from your lightboxed slides if you’ll be using Storyline’s navigation controls. Once you’ve specified the slides to lightbox, it’s time to tell Storyline when to trigger this effect. 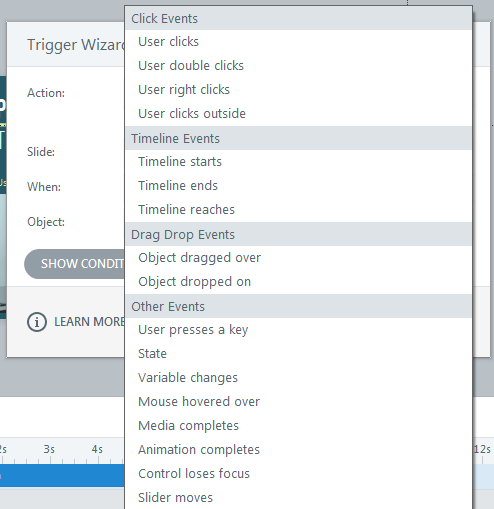 From the “When” drop-down menu, you can choose from lengthy lists under Click Events, Timeline Events, Drag Drop Events, and Other Events, including state or variable changes, mouse hovers, and slider moves. The next step is to tell Storyline what object will trigger the lightbox. For example, the action to “Lightbox slide” should happen to Slide 2.1 when the user clicks on Button 1. This is an example of an object trigger. 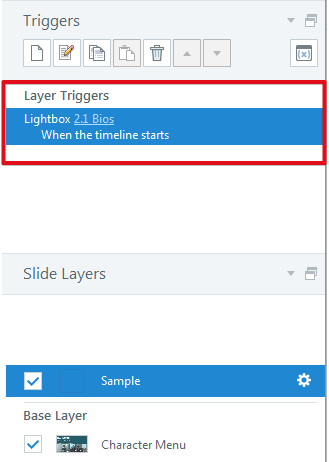 If you’re using Storyline’s built-in navigation buttons, you’ll also have the option to trigger your lightbox when the user clicks Next, Previous, or Submit. This is known as a player trigger. 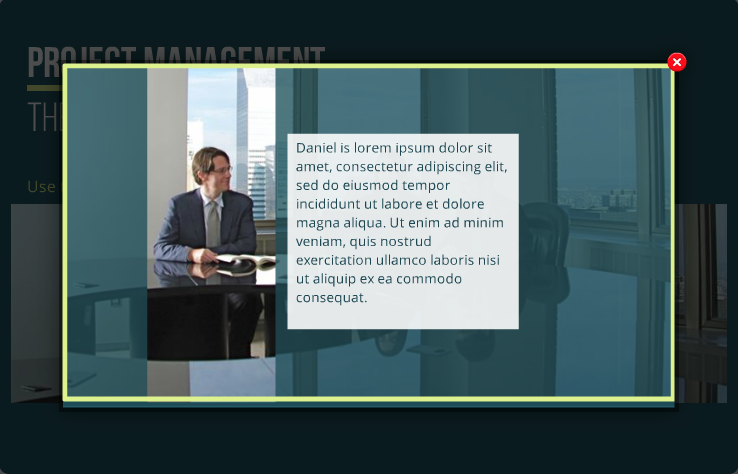 Lightboxes can also be triggered from a slide layer, with all of the same trigger options that apply to slides. This is known as a layer trigger. Finally, Storyline needs to know if you’re looking for any specific conditions or criteria for launching the lightbox. For instance, what if you only wanted the learner to be able to access the lightbox after they’ve visited all topics on a menu? You can specify any conditions to be met by clicking Show Conditions and setting your requirements. For more details on trigger conditions, check out this how-to article from our knowledge base: Adding Triggers. And for a complete run-down on Triggers, be sure to check out Nicole Legault’s recent article All About Triggers: Everything You Need to Know. It’s one thing to make a lightbox available on a single slide, but what if you want lightboxed content to be accessible throughout your course? From the player properties, select the features tab. Once you’ve named your new tab you can choose Topbar Left or Topbar Right for placement of your new tab. 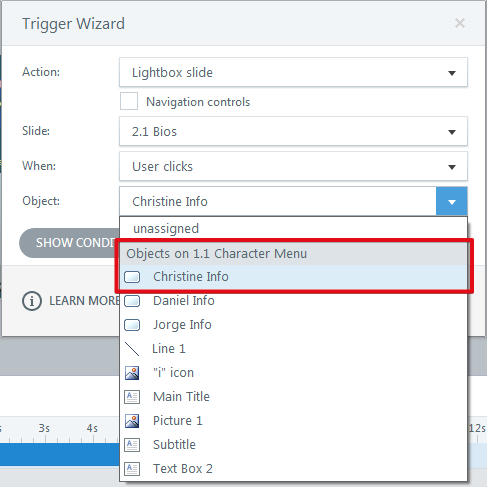 In the action field of the trigger wizard panel, select the lightbox trigger and then choose the content slide(s) you’d like to have appear in the lightbox. Just like adding a lightbox to a slide, you can specify conditions for triggering this lightbox effect from the course player. When you’ve finished entering the information for your new tab, click OK. In the adjacent Storyline player preview, you should see your newly added tab. To verify that your lightbox is functioning properly, simply preview your project and click the newly added tab on the course player. What creative uses have you discovered for lightboxes? Leave your ideas in the comments below or share them with the E-Learning Heroes community. This is very timely for me as I am working through my first set of LightBox slides. It is a very attractive finished product, but could use some timeline controls added. I ended up designing a pause play effect in the Lightbox slides so that my user can follow along in the course materials. That sounds really clever, Terry. I hope you'll share an example with the community if you're able. I'm sure others would love to see it. I could share an example of the slide and the button triggers, but I cant really share the course freely. How do I attach a .story file to this sting? I think any clever workarounds you've found and can share are always welcome—no matter if it's one slide or many. The easiest way to share your solution is to post it as a new discussion in the Building Better Courses hub (https://community.articulate.com/forums/building-better-courses). That will give you the ability to attach your .story file and then you can link back to this thread in the body of your post for context. Hi Terry, I'm a bit confused as to how this works? Is it a lightbox slide or a base slide? Katie, The confusing answer is "yes". The way I see it is the lightbox function will open a different scene in your course wothout closing a scene that it is linked to, very similar to a pop up window when you are online. However, when you create the scene, you would create it as normal. The LightBox function does the rest. I am not able to preview the lightbox slide I created. Have I missed something? thank you. Heidi, Did you try previewing the slided that the lightbox is linked to or the scene you created for the lightbox slide? The slide that contains the Light box link wont show the lightbox preview because the program is a link. You would have to look in the scene that you created for the lightbox to preview. Okay. thanks a lot Terry!! That worked. So should I always create the lightbox slides in a different scene? thank you for the help--learning new tricks. Thanks for jumping in Terry! And yes, if you're going to insert multiple slides in a lightbox, it's best to place them in their own scene. Great article. This really explains lightboxes and how to use them well. I have been using the lightbox function to open up a navigation control which directs the user to a different part of the course. I played around with the triggers and found that if you place a close lightbox trigger after a jump to slide it actually closes the lightbox and jumps to that slide in the main window, rather than changing the slide shown in the lightbox. But this only works on buttons, not on other objects such as pictures etc. Don't know if that's by design or a bug. Trina, perhaps you know more about that? If there's a way to get it to work on pictures that would lighten my day! Hi Alexander. Glad to hear that you're in the lightbox fan club, too. If I'm following you correctly, your solution should work just fine with an image instead of a button object. I had never tried doing what you described, but I decided to give it a go with a .png and a photo image. Both worked just fine for me! Is there a way to format the close button for a lightbox? For example, I'd like to use a different color other than red. I got the same problem as Jennifer. I'm working in Articulate 2 for a module. We got the remark that the close-red cross of light boxes is too small, for sure on tablets. A reason for this is that our modules our made in a high resolution. Is is possible to hide the red cross and make one ourselves. I found in another forum a work around via pseudo-lightboxes (which actually are layers as I understand). But that's not how we want to work, as our lightboxes are accessed from several locations. How do I remove the LightBox slides from my general CBT? I am unable to skip over them, so the end up being a light box and a general slide. I am having the same problem as Jennifer - I'd like to be able to make the "close" button more prominent.